Rye Grain is used as part of the ideal mushroom substrate. This rye grain is high quality and 100 % organic. 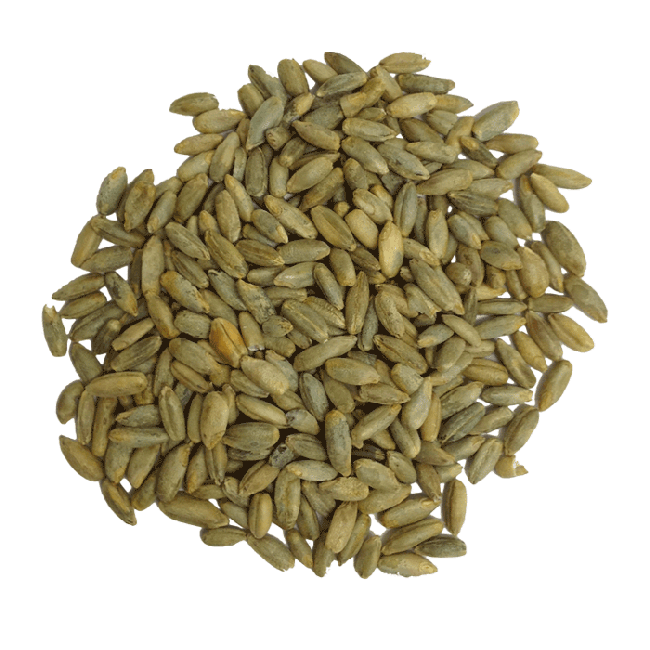 Rye Grain is available in two package sizes. 100 grams and 1kg. Need a different amount of Rye send us a message. Mushrooms of all species, edible and magic mushrooms, like to grow on rye. If you want to enrich you PFTEK, make a Bulk substrate or produce spawn Rye grain will be the ingredient of choice.The best way to inoclutate rye gran is with living mycelium. Rye needs to be sterilized before used. This can be done when the Rye Grain is put in a glass jar, add a right amount of water and put the jars in a pressure cooker.